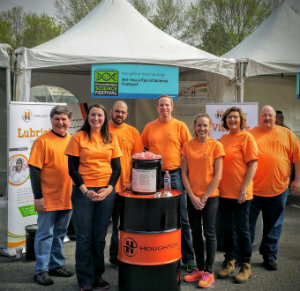 Passion, skill, commitment and purpose have helped Houghton International achieve industry leadership in key markets around the globe for more than 150 years. At Houghton, a collaborative, winning culture is the key to our success, and our talented people are the reason we’re the global leader in our industry. Our Mission is to deliver innovative and sustainable fluid solutions developed by global teams to create value for our customers by increasing their profitability and product quality while minimizing risks. We will achieve profitable growth and expand our industry leadership by fostering a culture of collaboration and innovation, and a commitment to safety and integrity in everything we do. Houghton is a people-driven enterprise, so our culture of collaboration and innovation is a critical factor in fulfilling our mission. We need people who work together to drive the ideas, science, talent and culture to discover and implement solutions for our customers in industries that are central to the global economy. Every day brings new challenges, and every day Houghton delivers solutions. If you welcome the opportunity to make a difference, build your own career path and be part of an ambitious global team, Houghton may be the place for you. Working at Houghton is like running a marathon: we aim big, we push ourselves to go that much further and feel the complete satisfaction at the end that we have made a difference for our customers. I was allowed to figure things out, how to get things done, to learn from mistakes and to accomplish things without necessarily having to follow a cookie-cutter blueprint. Continuous encouragement from management opened up opportunities for me to work in various segments which expands my skills and growth potential. At Houghton, opportunities abound to see your efforts contribute toward the success of the business. Solving problems and creating value are part of our DNA. Competitive pay programs in all geographies are essential to attracting and retaining global talent. Houghton regularly tracks industry pay and benefits in all regions and seeks to pay at market competitive levels. Ensuring the safety and prosperity of the communities in which we operate is one of our core values. Our expanding outreach programs enable our employees to make a difference in those communities. Houghton offers on-the-job learning and development, and classroom and online training programmes through our global, web-based learning platform, Houghton University. Houghton’s success depends on leveraging the knowledge and skills of our global employee network.